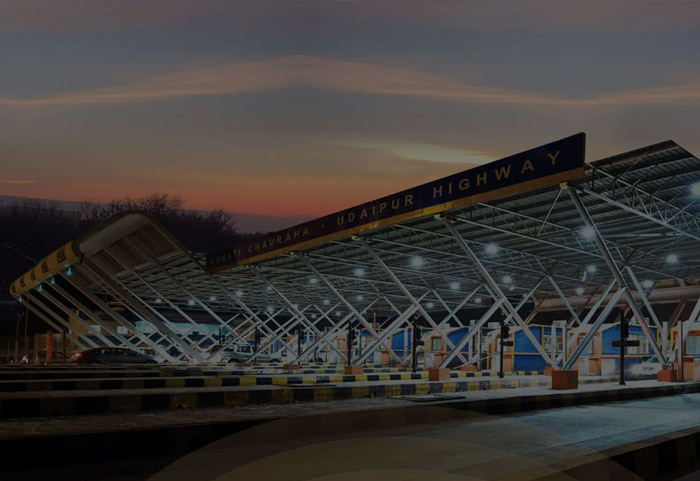 Metro Infrasys offers a combination of technologies and techniques to help you centrally manage toll operations using a single integrated solution and above all enhance road safety for a better expressway experience in its advance tolling system. The concept of toll collection is devised to raise funds for roads, especially for the highways, which enables to recover the capital invested in the construction and meet expenses to repair and maintain the roads. Also, toll operation is a process that reduces the tax burden on local taxpayers and charges the road users instead. Over the years, the technological advancement has changed the spare of toll management system. The Indian toll operation system got a face-lift when Electronic Toll Collection (ETC) System was introduced in 2013. Since then the commissioners have been able to overcome the challenge of long queues and save users time. Refreshing Solutions– Our solutions for Toll Management System are advanced and offer a hassle-free experience to users. Also, it helps commissioners collect toll charges and manage operations successfully. 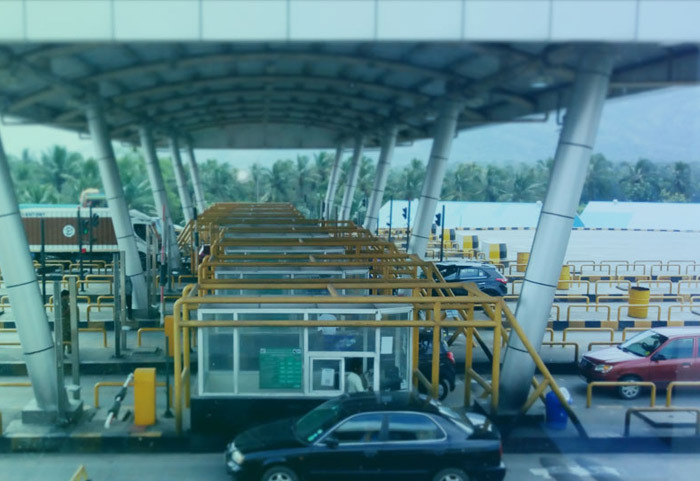 With technologies like Automatic Vehicle Classification System (AVCS), Weigh in Motion, RIFD system, we offer a unique, effective and yet very simple Electronic Toll Collection System. Our toll management system also gathers data on traffic volumes, vehicle classifications, vehicle speeds, the collected fares and sends you detailed reports. Weigh in motion is integrated in Toll Lanes at Toll Plazas and at Check post for overweighing of goods. 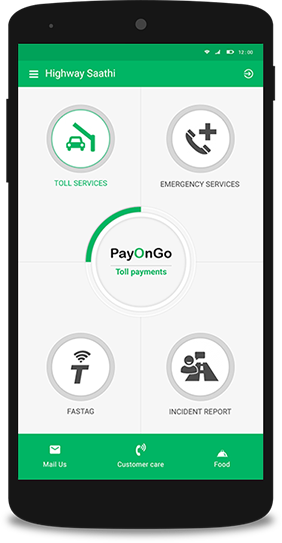 Are you still searching for apps that can offer you end to end solutions for Toll Management System? LICENSE TO TRAVEL NON STOP! Highway incidents and congestion hotspots, with reporting facilities. Wayside amenities like food courts, hospitals, toll plazas, gas stations etc. Highway conditions, with reporting facility. Emergency services and SOS alerts. Free vehicle tracking services for fleet owners. 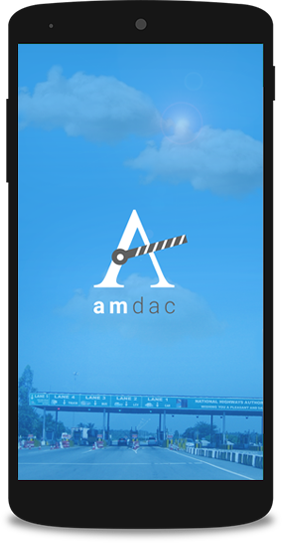 Amdac Pro is an Android Application for Maintenance Purpose. 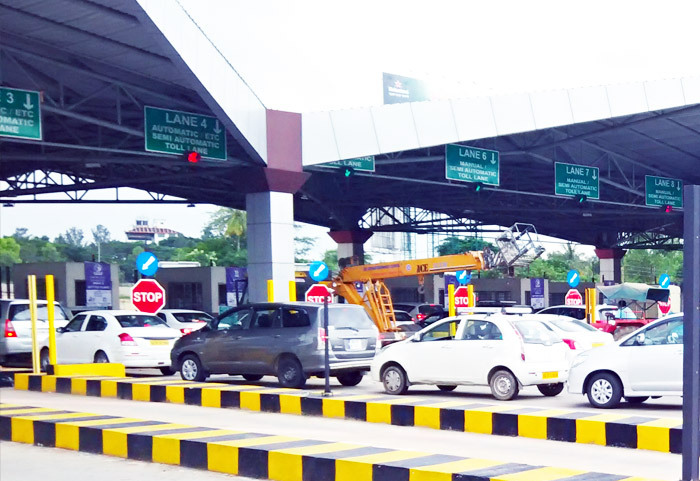 It is very helpful in handling day to day operations at Toll plaza and eases the Toll Plaza operations if any Hardware or Software issue arises. Thinking how to solve the issue of fraud? Our Hawk-eye edges will relieve you of this problem. 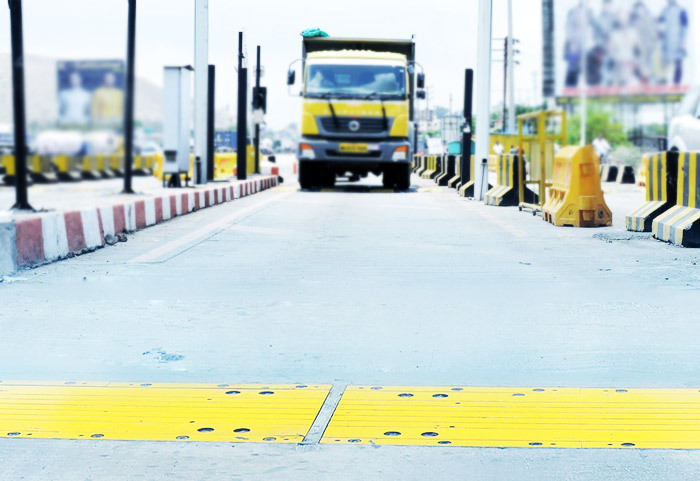 Our intelligent toll management system is designed to map every action auditable through non-stop surveillance. Much like a hawk, our TMS scans and helps you to spot frauds and eventually to eliminate pilferage and maximize revenue collection. TMS’ zero tolerance towards cheating boosts you with a steady, accurate, and visible financial flow. Haven’t found an answer to complex vehicle classification? Our Automatic Vehicle Classification System (AVCS) will do that for you. Our AVCS helps to assess the exact toll automatically by accurately detecting and classifying vehicles. The AVCS can deliver the most complex vehicle classification requirements. One of the finest in the pool to delivering accuracy, our AVCS is perfected through decades of processing millions of vehicles. Yet to find a clue to improve toll collection and profitability? Our Electronic Toll Collection System (ETCS) will give you the formula. Our advanced ETCS is well-organized and controls & manages the highway traffic in the most practical way. The system is designed to accept RFID, bar coding, online payment and digital payment processing and offer customers a safer, securer and a faster payment experience. 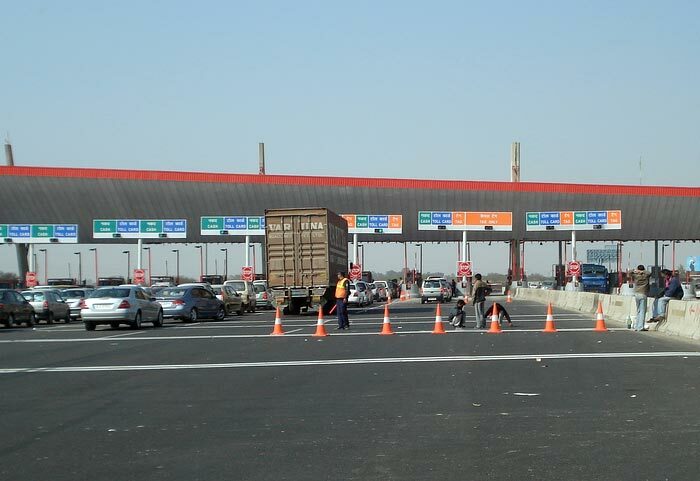 Our ETCS undoubtedly plays a pivotal role in deciding the efficiency and profitability of a toll plaza, as it helps in avoiding traffic delays and processing vehicles fast. Don’t let your fear of being in fix come true if the server and systems go for a halt? Choose our Round the Clock Maintenance services for better. We understand that a consigner faces a huge loss when the server and systems in the toll plazas do not work or create problems. Therefore, our smart toll management system is designed to give our associates a hassle-free experience while collecting the toll. Our TMS is backed up with a strong risk management tool which allows toll booth automation i.e. automatically diagnosis any system or server errors further intimating the maintenance/risk team in time. You have no idea how to operate your dashboard? Our dashboard is designed in the simplest way possible, the one that can be accessed by one and all. The dashboard offers a whole range of services; you can do mapping, download reports or create something new, the flexible dashboard makes it happen for you through its simple functionality. Monitoring real-time data with graphical analytical reports is flawless and tracking of any incident or fraud on phones, tablets or laptops is as quick as a lighting star. Are you still searching for apps that can offer you end to end solutions? Our Problem Solver Apps can be of your help. Our in-house developers are skilled and design mobile applications that offer the finest end-to-end toll management solutions. Our toll management apps keep you updated with the site status and helps you and your team in knowing the exact position of your project. The Amdac Pro is an in-house android application for handling toll plaza operations and to detect and solve hardware or software issues. 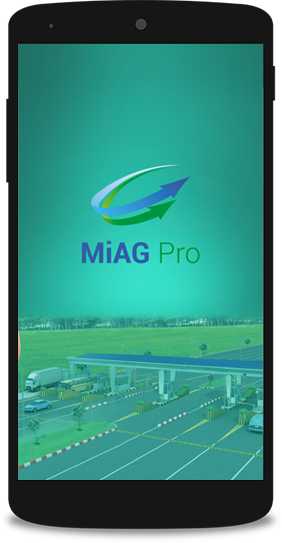 MiAG Pro is another application that offers on the go performance analysis related to traffic, revenue, top-bottom, non-revenue and AVC accuracy. Scratching your head over how to improve RFID automated transaction at toll? Our RFID & ANPR combined solution has an answer for it. Our formula is simple. We install the ANPR camera with IR illuminator before the payment booth across all lanes to achieve this result. The camera is capable of capturing the frame of every vehicle’s number plate and each camera is integrated with ANPR server equipped with Artificial Intelligence (AI) based intelligence software for processing the vehicle number with the image. The output of ANPR software is integrated with toll lane software to check within the local database of valid tags with the details of available trips. In case of valid details, the transaction will be performed by the system. Will you like to implement the pay by number plate system? Our Pay by Number Plate can be used by multiple E-Wallets. Our Pay by Number plate system will have the mobile app for single journey payment option by Amazon pay wallet. Once payment will be done by the user for particular vehicle class and their vehicle number same transaction detail will be synchronized from cloud to Toll plaza server and then to all lanes in 5 minute. Once the vehicle will arrive in the lane then ANPR camera will read the number plate and validate with the database for any Single journey payment by Mobile app. After successful verification system will open the Boom for that vehicle and this process will take less than 1 second so the user need not to stop his vehicle in Lane. Worried about the periodic analysis of faulty tag and its replacement sop? Don’t worry. We do it for you. We do periodic automated system analysis for detecting the weak and faulty tag & their information to the respective user for replacement of Tag to increase the RFID read rate in Toll system. Concerned about online fault module for SR management and SLA monitoring? Relax. We have the technology to solve it. We have an incident and problem management system, which it gets the information through online fault alerting and tracking system. The AMDAC system is a service management module used to manage the service request lifecycle required for smooth operation of the Toll Management system. AMDAC system can be accessed through a mobile with client and vendor version and with a cloud-based web system for both clients and vendor shaving different login credentials. How is lane audio recording between driver and toll collector for transaction exemption helpful? It is. We have enough proof of it. Our lane audio recording technology provides the feature of recording audio within the lane. When the operator starts the transaction conversation between the vehicle owner and Toll collector for exemption category transaction, the device starts to record and then sends the recorded message to the validation module. You want a centralized data transfer and management system? Yes. We do have one. Our ETL SSIS is a centralized technology available to synchronize the toll system data to an external server anywhere in the world, that too in real time. Aware of the importance of comprehensive data completeness check module but where to get it from? Leave it to us. We have it and will ensure it functions well for you. We have comprehensive data completeness module for checking the 100% data synchronization and update among all layers of TMS system (Lane, Validation, Cashup, etc) so that all the reports have data completeness level appears on the bottom of every page. You always wanted to have comprehensive security layers but unable to find any? Don’t worry. We offer one. Our comprehensive security layers are impacted and come in 5 layers to not allow any lick-age. The layers implemented in the TMS system to strengthen security are – Window Firewall (IP and Port level), Login, Users, Roles and Schema. Are you in a dilemma over the decision of better mode of payment? Need not to be. We offer digital mode as well. We have VISA pay wave and Rupay card-based payment options in our Toll Lane system to promote the digital payment acceptance. Working without a server is thrilling. You also wanted something of this sort. Yes, we can make for you. We have the option of offline POS operation in our system so that POS counter will work without connectivity of server. You also can have the technology to trace the first image of the monthly passes and daily passes. We have the technology to offer you. We have the option to capture the vehicle image of each monthly pass and daily pass. The first trip is accounted for reference and comparison for subsequent trips within their limit to catch the different vehicle passage with the same pass. Your plaza database should be safe. Isn’t it? That is why we opt for the safest option. We have a tool available in our system to synchronize the toll plaza database backup at secured cloud so that data will be safely available above toll plaza infrastructure.